You are currently browsing the archives for the tag 'BJÖRN AXEN'. Sometimes people are surprised when I tell them that I only wash my hair once a week. If you are having a long mane like me, washing the hair less often will help preserve the natural oils in the scalp and keep your strands well moisturized. Moreover, I have curly hair and I am just too lazy to blow dry it too often. Don’t be scared, try to switch to an every-other-day or every-third day shampoo routine. It might feel hard in the beginning but you can train your hair, believe me. 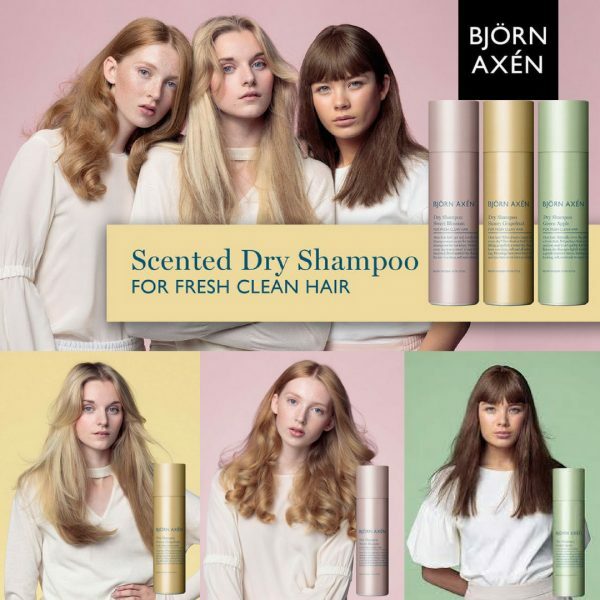 For in-between touch-ups and fresh smell, I recommend those amazing scented dry shampoos by Björn Axén, Sweden’s strongest hair care brand founded by the eponymous hair dresser in 1963, who even worked for the Swedish queen. Those scented dry shampoos come in three different scents reminiscent of spring, Green Apple, Sweet Blossom and Sunny Grapefruit, and effectively freshen up the hair without leaving a rough feeling. They all give light volume and are recommended for all hair types. Application: Shake the bottle. Part your hair and spray towards the scalp from 15 cm; allow to work 1 min. If necessary, spray the area around your face. Massage into the scalp with your fingers and shake off any white residue. CHF 17.90 (150ml) – in Switzerland available at Jelmoli among others. Gosh, sometimes I still remember the time when I was a little girl and wore barrettes in all sorts of colors, especially in school to keep my hair out of my face. Funilly enough, I kept loosing them to the dislike of my mum. Now, we are back with this trend. But this S/S 2018 season, you would want to hold on to them tightly because they’re so much fancier and you wouldn’t want to loose a gold or bedazzled hair clip for over €100 each. 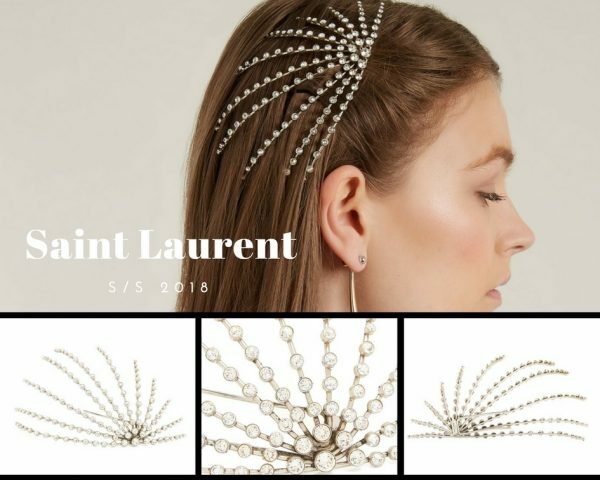 How to wear this hair accessory in 2018? The coolest way is to position it on the level of the top of your ear. Gucci‘s jaw-dropping, rhinestone-affixed logo version is a such a pretty way to secure a swept-back style. 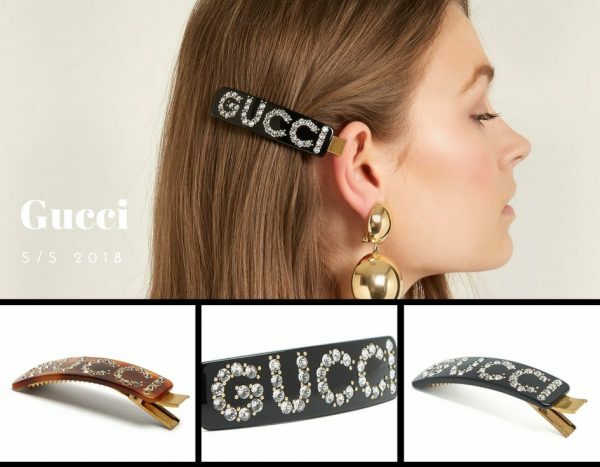 TO SHOP GUCCI’S LOGO BARRETTES, CLICK HERE PLEASE. Simone Rocha’s cast of Victorian-esque Brits captured the hearts of It-girls worldwide with their pearl-encrusted barrettes placed properly to the side. 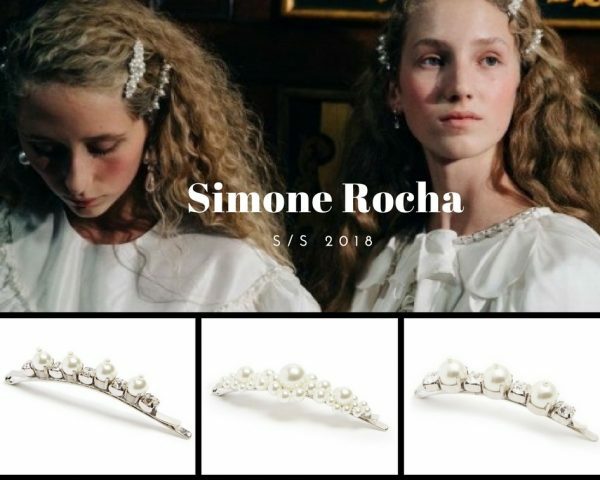 TO SHOP SIMONE ROCHA HAIR CLIPS, CLICK HERE PLEASE. 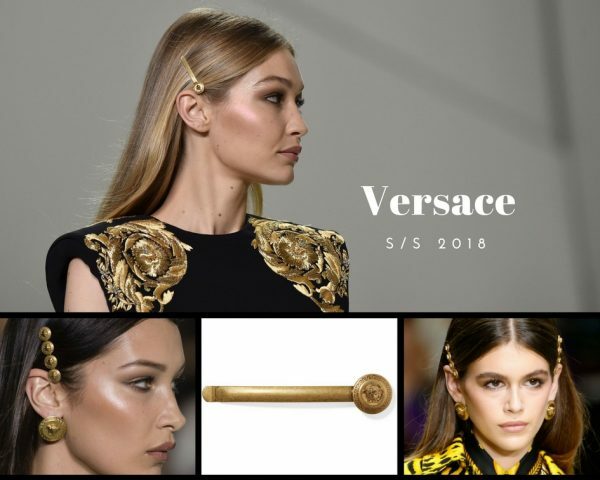 Donnatella Versace’s delicate gold hairpins that graced the beautiful heads of Gigi, Kendall, and Kaia Gerber in Milan will definitely be on every fashionista’s shopping list. TO SHOP VERSACE’S MEDUSA SLIDE, CLICK HERE PLEASE. But leave it to the showstopping House of Saint Laurent to deliver the most extravagant (and expensive) hair clip of the season. TO SHOP SAINT LAURENT’S EMBELLISHED HAIR CLIP, CLICK HERE PLEASE. As these decorative details quickly make their way onto red carpets and the heads of street style’s finest, all that is left to say is: Let party season begin. Barettes in 2018 are much fancier than in the ’90s! 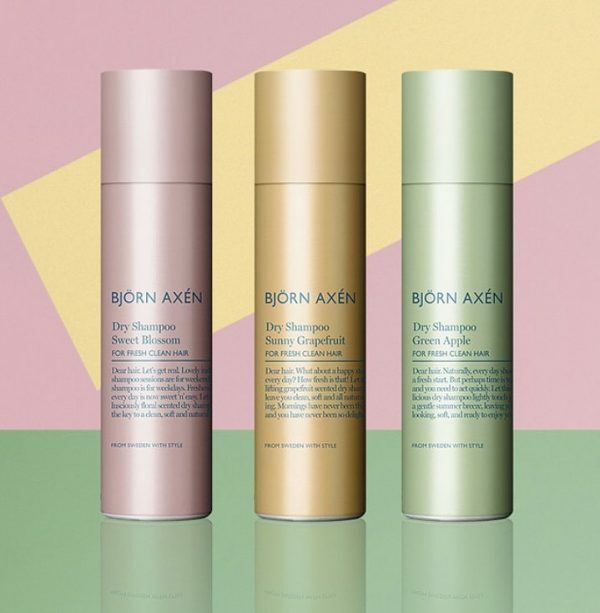 And to keep your hair in place, I recommend BJÖRN AXEN’S MEGAFIX HAIRSPRAY SUPER STRONG HOLD. This hairspray gives you shine, holds and is easy to brush out leaving no white flakes. Stay tuned! 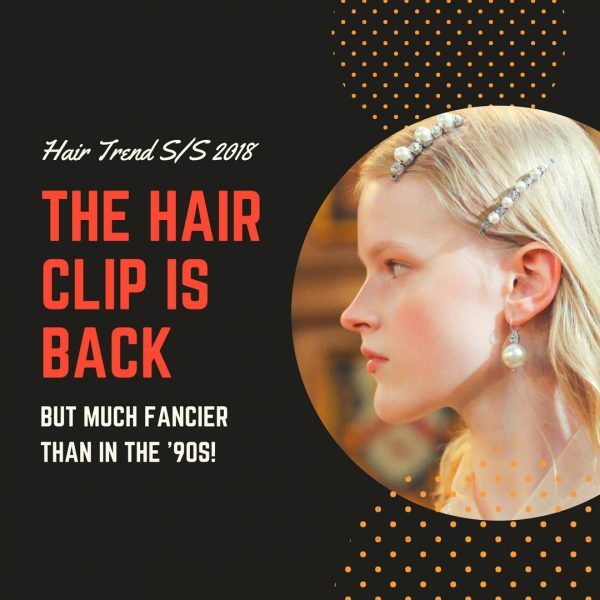 Another ’90s hair trend is back that I will tell you all about this week!